Cluster necklace in light gray, silver and white. 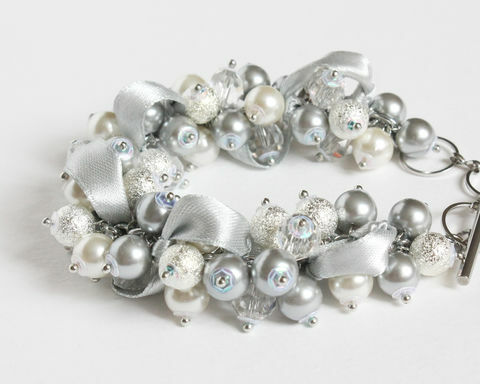 Made of glass pearls, glass crystals and silver rough finish metal beads. Suitable for bridesmaid, for prom, banquet, wedding party or any dress-up events.